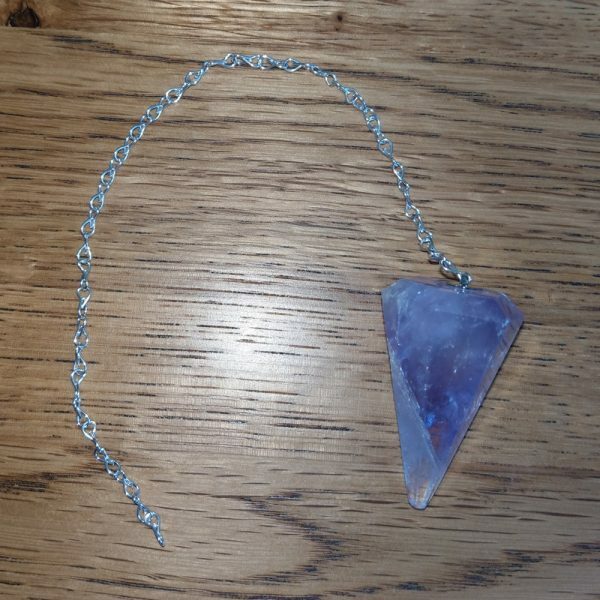 A premium quality amethyst pendulum some have natural inclusions of clear or milk quartz on a silver chain. Quartz has enormous healing potential. 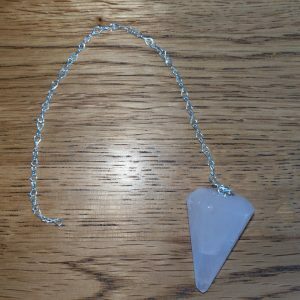 The pendulum is ideal for checking the health of the chakras. 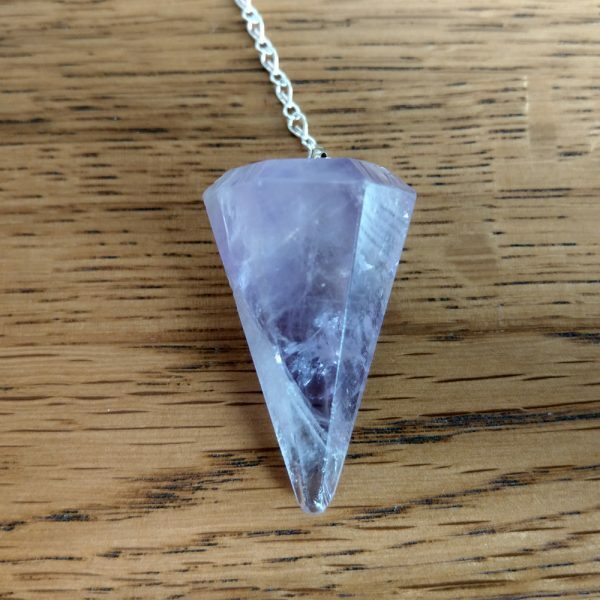 Amethyst supports the energy system by stimulating vibrations to create inner strength and increasing the will power of those suffering with addictions, especially alcohol. 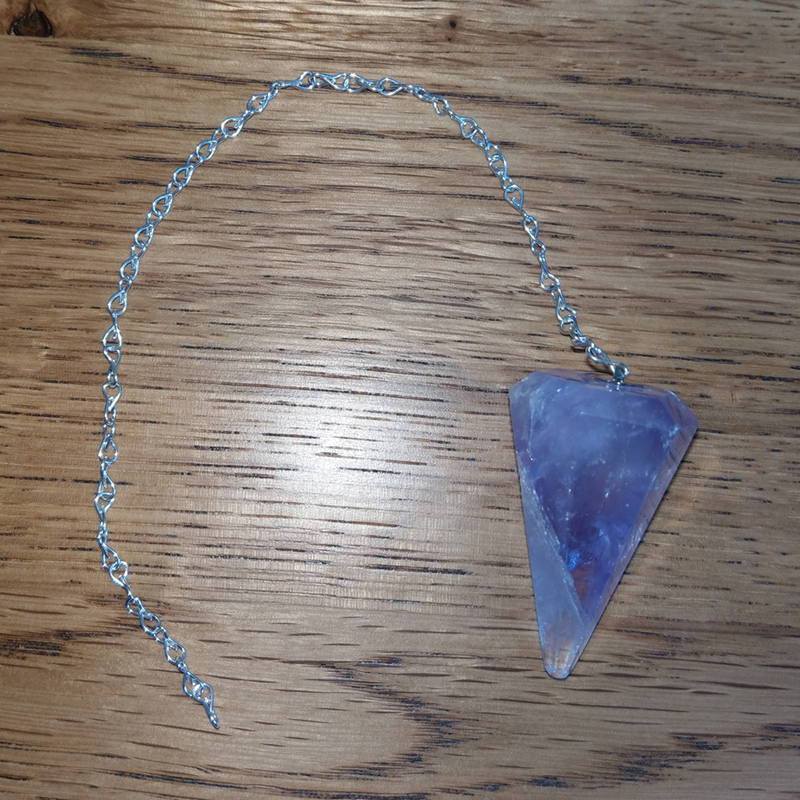 This pendulum has been reiki charged. 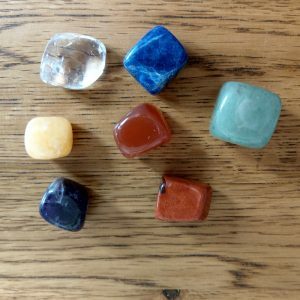 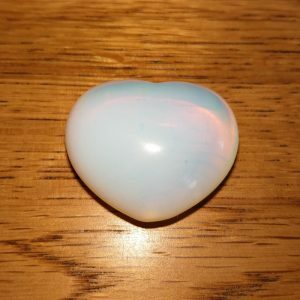 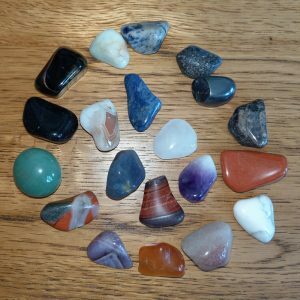 FREE crystal – this is chosen at random intuitively for you.